Hockey is back and as always, it kicks off this weekend with the adrenaline rush that is the Young Stars Classic rookie tournament in Penticton, B.C. Intensity, emotion, and desperation, and loads of it, will be on display in the four-day tournament that features many of the top prospects from the Calgary Flames, Edmonton Oilers, Vancouver Canucks and Winnipeg Jets. If you're playing NCAA, you won't be there. If you're playing in Europe, you won't be there. If you've got a couple years of pro experience (100 games is the cut-off), you won't be there either. But the rest of each organization's stable of next-in-lines will ascend upon the Okanagan, looking to build momentum to take into main camps when they open in 10 days. For Flames fans, six of the organization's top seven prospects -- based on my August 2017 rankings -- will be showcasing themselves. Only defenceman Adam Fox at No. 4, who is already back in class at Harvard, will be absent from that group. All games will be streamed online with Sportsnet's Pat Steinberg calling the game in partnership with his broadcasting peer from the opposing team. All of the games will also be available via Sportsnet960 radio with Derek Wills handling play-by-play duties. I'll be out there, covering the event as well, so keep an eye on my Twitter, this blog and now would be a good time to 'like' the Flames From 80 Feet Facebook page as regular updates will show up there also. YouTube clips, NCAA highlight reels, development camp drills, a short July scrimmage. When it comes to seeing off-season free agent signings Spencer Foo and Josh Healey in action, there hasn't been a lot to work with. It's like ordering something off Amazon. You see a couple products that look pretty good -- the star ratings and reviews are excellent -- but online shopping has its limitations as you never really know what you're getting until the package arrives in the mail and you check it out for yourself. Foo, a skilled right winger coming off a stellar season at Union College -- 62 points (26 goals, 36 assists) in 38 games -- decided to take his Hobey Baker nomination and bolt school a year early. 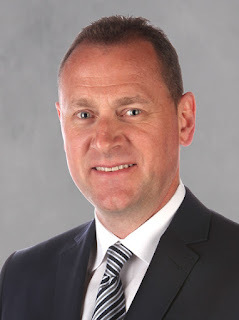 Hotly pursued by several NHL teams, he waited out the NHL draft and the Vegas expansion draft before assessing the landscape and deciding his best opportunity was with the team three hours down the QE2 from where he grew up. 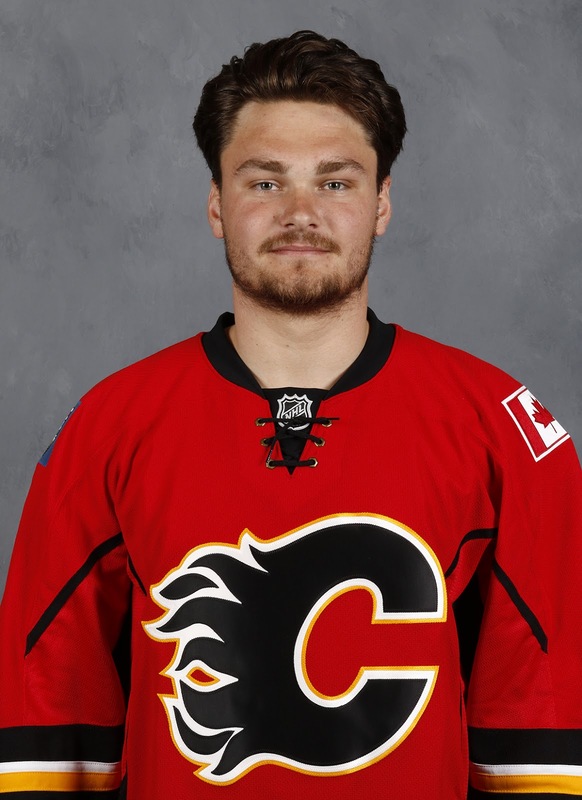 Healey, also from Edmonton, is a rugged hit-first, pass-second battering ram, who signed with Calgary in March after graduating from Ohio State. That allowed him to spend a few weeks in Stockton on an amateur try-out. While he got into only a couple games, he got to practice with the team so already has familiarity with Heat coach Ryan Huska, who will be behind the bench in Penticton. As two of the older kids at this event at age 23, there's an expected level of maturity and level of performance given they'll be up against a lot of kids that haven't yet turned 20. What have they got? Could they be future NHLers? If so, how quickly? I'm curious to see both of them in meaningful game action. The player in Penticton closest to being an NHL regular is No. 2 ranked prospect Mark Jankowski. By now, everybody is very familiar with his story. At the 2012 NHL Draft, Jankowski was Calgary's controversial off-the-board first round pick, 21st overall. He spent the next four years at Providence College, where his overall game got better and better as his ice time and responsibilities increased. While all that was happening, slowly but surely he inched himself back into the prospect conversation. Last year as an AHL rookie, he led Stockton in scoring with 56 points (27 goals, 29 assists) in 64 games. He also got into one NHL game in November, brought up as part of a message-sending move directed towards Sean Monahan, who that night in Brooklyn was briefly demoted to the fourth line. When you're that close to the NHL, main camp really is the entree. That's where you're going toe-to-toe with the big boys. But for Jankowski, why wait when you have the chance to make a statement right off the bat this weekend. 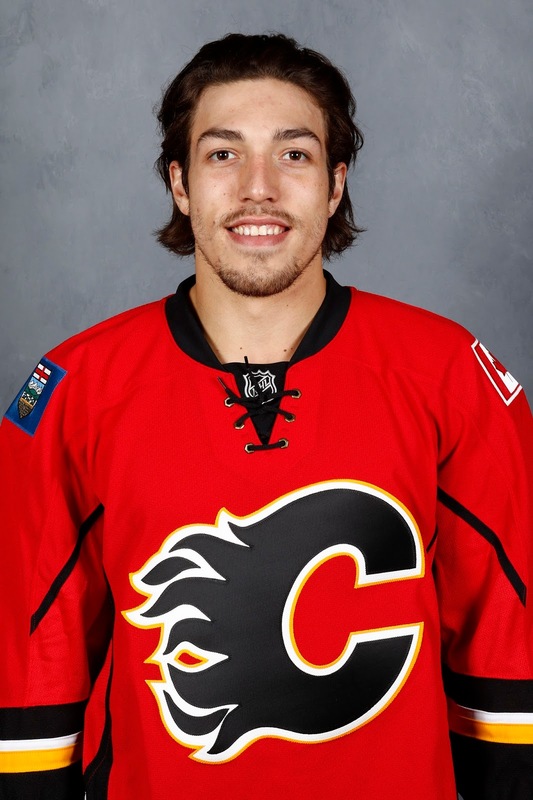 This is not the same skinny beanpole selected by GM Jay Feaster five years ago. We're talking about a guy 6-foot-4 and 200-plus pounds that once he gets the puck, can be hard to knock off the puck. His offensive game appears to be catching up with a solid defensive game fostered under the scrutiny of coach Nate Leaman at PC. Jankowski may not dazzle you, but every game he plays in Penticton, Jankowski should be one of the best players on the ice. 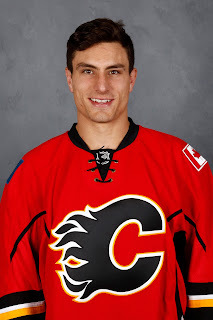 If he has designs on pushing for an NHL job and there is a job at forward to be had, the time to start showcasing himself is this weekend while centring the Flames No. 1 line. 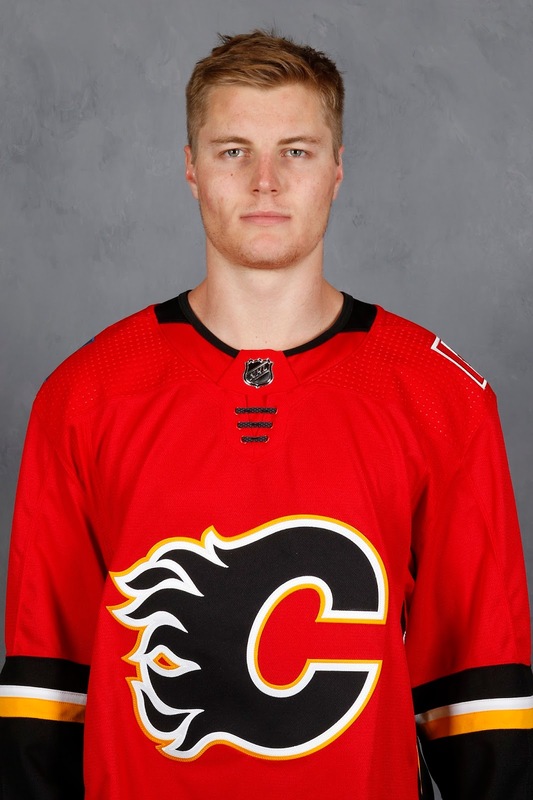 Meanwhile, you want to add in a little extra motivation, imagine the opportunity that opens up if Sam Bennett's contract negotiations extend into training camp and perhaps beyond. There is little doubt in my mind that Tyler Parsons will turn pro this fall. He's the organization's No. 1 prospect and those aren't the ilk of players that you send back to junior as an overager. But it's not me that he needs to impress. 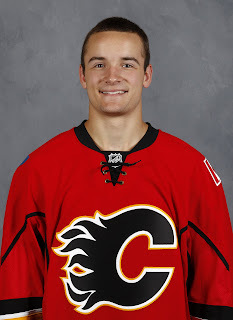 So to make the statement that he is done with junior hockey, he needs to take to the ice in Penticton and in the two starts I'd expect him to make, leave zero doubt in the minds of Flames management that the best next step for his development is pro hockey somewhere -- that destination likely to be Kansas City, where the organization's new ECHL affiliate is located. If Parsons gives up eight goals in two games and loses both starts this weekend. Does that mean his billets back in London better prepare the guest bedroom? No, I don't think his situation is nearly that tenuous, but he knows a lot of eyes are going to be on him and this is a chance to show once again that he could be a future NHL star. The accolades so far are impressive. He's played in a World Junior gold medal game, he's played in a Memorial Cup final and he's has thrived in both of those settings, winning both. Time to see him take that next step as a professional. I find Parsons to be fun to watch. So acrobatic, so dialed in, so competitive and always battling non-stop. With just seven preseason games, playing time for Calgary after this weekend will be limited. This is his opportunity to get in the crease and make the statement that while he may be significantly younger than AHLers Jon Gillies and David Rittich, the 20-year-old is not that far behind them in development, if he's even behind them at all. With the return to relevancy of the Flames and Oilers, the Battle of Alberta -- on life support for a couple decades -- is finally a thing again. The seeds of dislike will be planted on Friday night when the two teams meet to kick-off the tournament in what's sure to be an intense affair. While Calgary-Edmonton is always the featured bout on the B of A fight card, don't forget there's a rivalry between the two clubs at the AHL level too. California state rivals Stockton and Bakersfield are a three-hour drive apart from each other. Three hours? That does sound familiar. These two organizations will see a lot of each other and expect some early message sending. Several players from both sides on Friday night at the South Okanagan Events Centre will be back in uniform when the Flames and Oilers open up the NHL pre-season with two split-squad games on Sept. 18. The Heat and Condors then meet in a preseason game on Sept. 29 so there's another clash. Come the regular season, Bakersfield and Stockton will tangle 10 times while Calgary and Edmonton meet up five times. The possibility of a playoff encounter between the divisional foes looms in both leagues. So when diminutive 2017 Oilers first rounder Kailer Yamamoto speeds down the wing and tries to toe-drag defenceman Jusso Valimaki for the first time while their respective team's NHL uniform, it will be the first of what will surely be many such 1-on-1 encounters between the two adversaries. Of course, you can also expect a few of the other types of showdowns too, the type where gloves and sticks need to be collected off the ice afterwards. 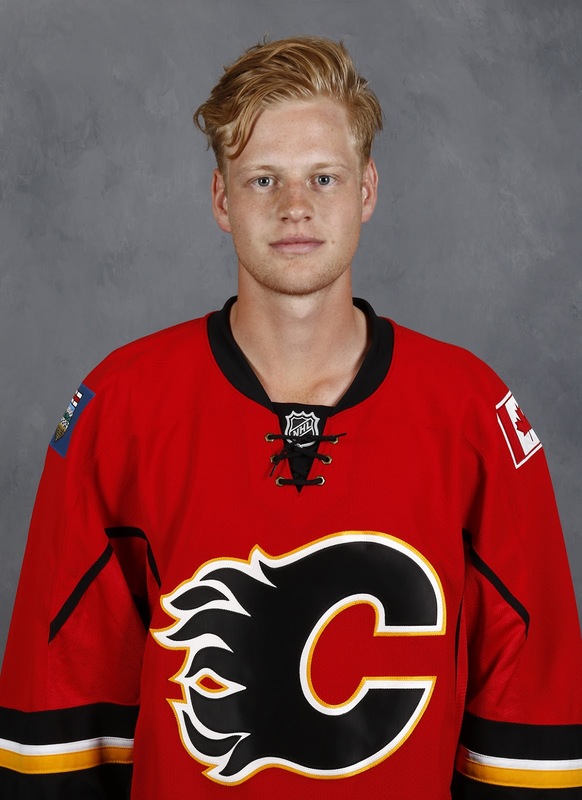 Rasmus Andersson has already played an NHL game. In fact, the Swedish defenceman spent close to a month with Calgary last season. He didn't play much, but he was around the team -- skating, practicing, working out and skating some more. While five-star hotels, lavish meals and luxurious plane travel makes for a really nice lifestyle, the 20-year-old has to remember he's not an NHLer yet and still has a long way to go until he reaches that point. 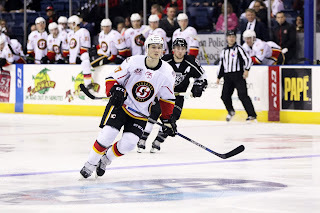 Elite with the puck on his stick, he is coming off an excellent rookie season in the AHL where he put 22 points (3 goals, 19 assists) in 54 games and was a fixture in Huska's top-four. His game is progressing nicely. But when he arrives in the Okanagan on Thursday for his third Young Stars tournament while his closest-competition peers -- Oliver Kylington, Brett Kulak, Tyler Wotherspoon -- remain in summer mode for another week, it's imperative he use his NHL experience last season as fuel to propel him to an impactful tournament, not as a reason to sulk about being at a rookie camp. To be clear, I have zero reason to expect the latter and this is not a reflection of his character. I would expect him to be fully engaged and committed to continuing to exorcise the demons of conditioning call-outs past. But ever since Sven Baertschi -- with 24 NHL games on his resume -- took the wrong attitude to Penticton in 2014, one always wonders about guys with some NHL seasoning. In Andersson, what I want to see, is him take this opportunity to be a difference maker and validate why after a summer of Adam Fox love around the city, that the former Barrie Colt is still the top defence prospect. This final rookie tournament appearance is an opportunity for a head start, to move to the front of the line in the competition that will take place starting at main camp for the open spot on the blueline. 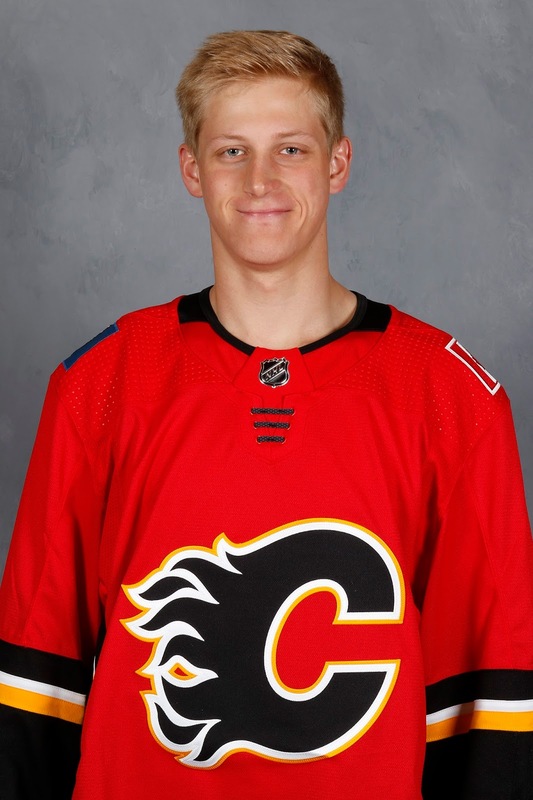 He ultimately may not get it and with the right side set with Dougie Hamilton, Travis Hamonic and Michael Stone, the odds are stacked against the right-shooter, but regardless, he needs to fight like mad for it and in doing so, ensure he is the first guy up when injuries strike. It happens every year. There's always one fringe guy we either don't know much about or are expecting very little from, who arrives in Penticton, impresses, and bam, bursts onto everybody's radar. I name the distinction after Josh Jooris, who was that guy for the Flames in 2014. That year, the headliners were Johnny Gaudreau and Sam Bennett and they were both great, no question, but it was Jooris that also caught our attention. At the time, he was this older 24-year-old winger, who had played one AHL season, after signing with the organization as a free agent out of Union College. Jooris parlayed that strong week at rookie camp into a stellar showing in main camp. One of the final cuts, he spent only a week or two in the AHL before he was the first guy called up and he's been in the NHL ever since. The next year, it was a similar story as Kulak, coming off a year mostly spent in the ECHL, and in my eyes having fallen behind the likes of Wotherspoon and Ryan Culkin, who showed really well in Penticton and he rode that right through main camp with the Flames. Since that moment, he's been the next-in-line for Calgary and could be a fixture on the team this season. Last year, Ryan Lomberg, on an AHL-only deal, is the guy that made that impact and earned rave reviews. For him, that propelled him to a solid regular season where he was a key cog for Huska. Last March as the upwards trajectory continued, it was announced that the scrappy forward had been inked to an NHL deal. This year who will it be? No idea, but I'm anxious to find out and I don't doubt somebody will emerge from the shadows and will impress. When you go through the exercise of ranking an organization's prospects, second round picks should be right near the top. Top 10, at minimum. Some of the first rounders should be in the NHL already, so those second round selections should be the best of the rest. No guarantees but emphasis on 'should'. 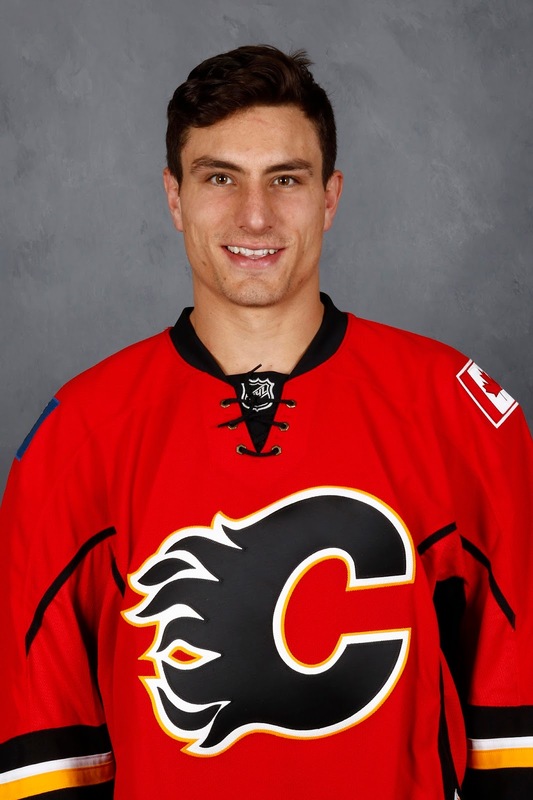 While in the case of the Flames, there are two second round picks in the organization not in my top 10. They're not in the top 15 either. They didn't even crack the top 20. In fact, their names are absent from the list of five honourable mentions also. Taken nine picks apart in 2014, left winger Brett Pollock (45th overall) and right winger Hunter Smith (54th overall) have a long way to go if they want to get back into the prospect discussion. Pollock, part of the package acquired from Dallas in the 2016 Kris Russell trade, spent his first pro season last year in the ECHL (15 goals and 31 points in 61 games). That's fine if you're a goalie dispatched there for playing time. That's less good if you're a forward. The former teammate of Curtis Lazar with the Edmonton Oil Kings (WHL) needs to show something this year and move up to the AHL. That audition in front of Huska has to begin this week. Smith has scored five goals over his first two AHL seasons. The glass-half-full view is that's four more than what he scored in his first two OHL seasons before breaking out with 39 goals over his final two seasons with Oshawa, a junior career capped off by going 9-9-18 in 21 games to help Oshawa win the Memorial Cup in 2015. If a similar breakout is going to happen for the 6-foot-7 behemoth in pro hockey, it better start right now as in this week as he's got one year left on his entry level contract and at this point, one wonders if this might be his swansong with the organization. These are two guys I'm not expecting a lot from, yet two guys that will get a chance to play and there have been plenty of late bloomers in the league over the years, so you never know. If nothing else, I at least expect to see some urgency from the two of them. When you arrive in rookie camp on an invite, you're fighting for an invite to rookie camp. That's the next step in the progression as an undrafted player looking to catch on with an NHL organization. There will be players in Penticton this year who have achieved that. For those guys, their goal as the exam keeps getting more difficult is to try and get invited to main camp. From there, you hope to land yourself a contract. Ideally, that would be an NHL deal, but more realistically, an AHL deal to start with. From there, like Penticton grads Lomberg and Garnet Hathaway, and what Adam Ollas-Mattsson is hoping to do this September too, you hope to show management that when that deal is done, you're deserving of an NHL deal. Which kids, not with the organization currently, will stand out this weekend? Or will there be any? In the past, I've written about players like Jason Fram and Tyson Baillie, WHL stars who looked great in July at development camp, but whose impact diminished come the increased level of competition in Penticton. Now both are playing hockey for the University of Alberta. They've moved on to the what-are-you-going-to-do-with-the-rest-of-your-life phase of life, a crossroads that all but the very, very best will face at some point. There will be guys to watch this year that have a chance, albeit a remote chance, but a chance nonetheless of catching on with the organization. Mikkel Aagaard was pretty good last year. He kept earning himself another game and by the end of camp, he had done enough to earn a minor league contract. But you don't have much time to impress. Free agents in Penticton usually are limited to just one game so for them, it's shoving all their chips to the middle and showing their cards. Next up as I preview rookie camp will be my eight players to watch. Look for that in a couple days. 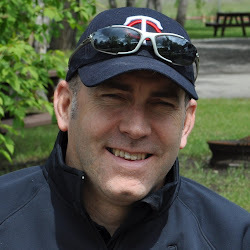 Meanwhile, if you can't get enough Flames talk, PostMedia Flames beat writer Wes Gilbertson was my guest a few days ago on my latest podcast. We talked at length about Penticton while also talking a lot about Gulutzan (and of course, we touched on Jaromir Jagr too). So give that a listen. You can subscribe to the podcast at iTunes, Google Play, Stitcher and all the usual podcast locations. Note: Organization players highlighted in yellow. Are there any of the tryout guys that you think can play for the Heat this year? I really worry about the lack of centers on the Heat. Four of the five free agent forwards at rookie camp are centres so it's quite possible that a signing could come from there. We'll know more in a week after seeing them in action. Team may still be eyeing a veteran or two to provide leadership also, signings which could come in the days to come. Brad Pascall is the Heat GM and he's aware of what they have, don't have, no need to worry.